"Best season" is a title that's eternally up for debate. Spring, with all its blossoming wonder, is a fan favorite. Summer, with its warm weather and seaside vacations, is another top pick. Then, there's fall: radiant leaves, cozy color palettes, and a fresh wardrobe chock-full of new staples that are ready for the wearing. However, one season you don't find many people going wild for is winter. Aside from the occasional snow day and holiday celebration, this one is definitely on the gloomier side (unless you live in Los Angeles, in which case you don't get to participate in this best-season vote, because your weather is always good). Tough commutes married with nipping winds and frigid temperatures usually mean winter is on the bottom of the favorite season list. As such, the moment autumn arrives, many can be found inserting slightly ominous, predictable phrases into everyday speak, like "Enjoy it before it's gone" and "I wonder how long fall will last this year." Though we don't encourage pessimism, we do want you to get your fashionable bang for your buck this season, which is why we rounded up some cute outfits to wear while the weather still permits. 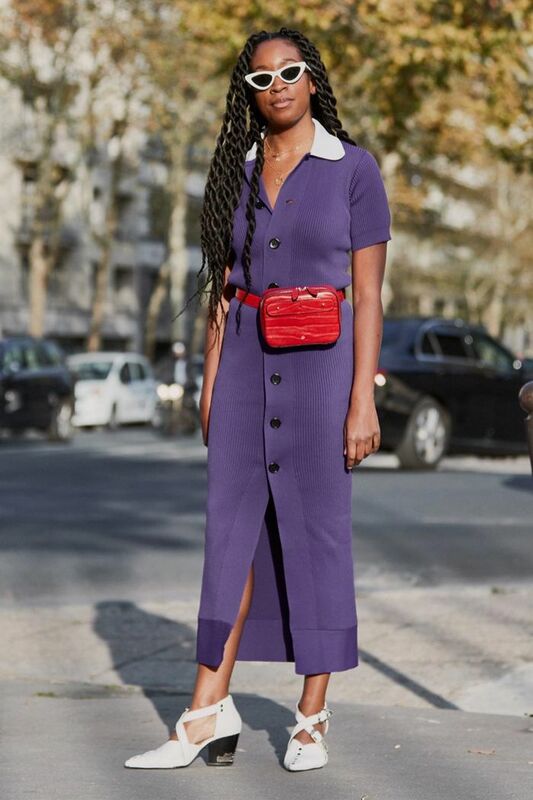 Scroll down for ideas ranging from colorful knit dresses to a glorious sweater-and-skirt combination, and if you're missing any of these pieces in your own closet, shop our picks. Stay warm out there! To prepare you for the cold months ahead, we also have 32 winter outfits that'll be perfect when you're bored of everything you own.